As early as 10,40 € month financing with a maximum maturity of 30 months; total amount 312,00 €; Bound annual borrowing rate 5,74 %, effect. APR 5,90 %. These figures are also the representative example in the sense of §. 6a paragraph 4 PAngV Agencies are exclusively by BNP Paribas S.A. Niederlassung Deutschland, Standort München: Schwanthalerstr. 31, 80336 München. 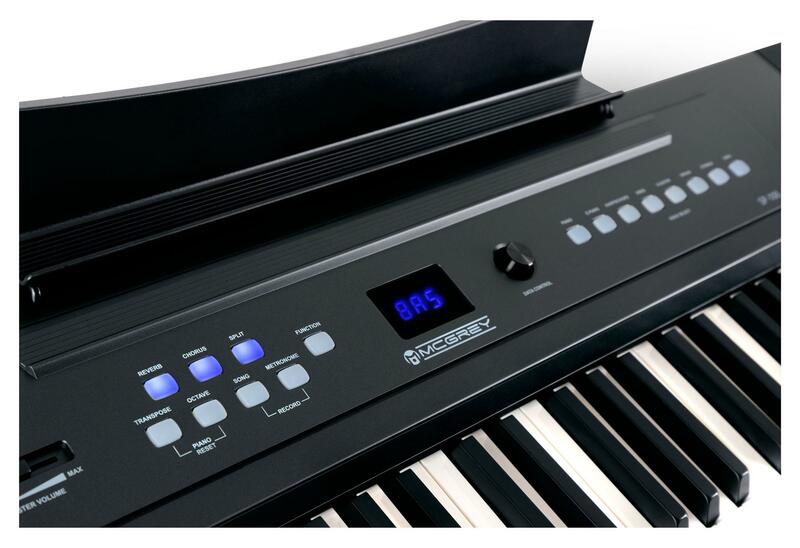 A stage piano that feels like it was made just for you! 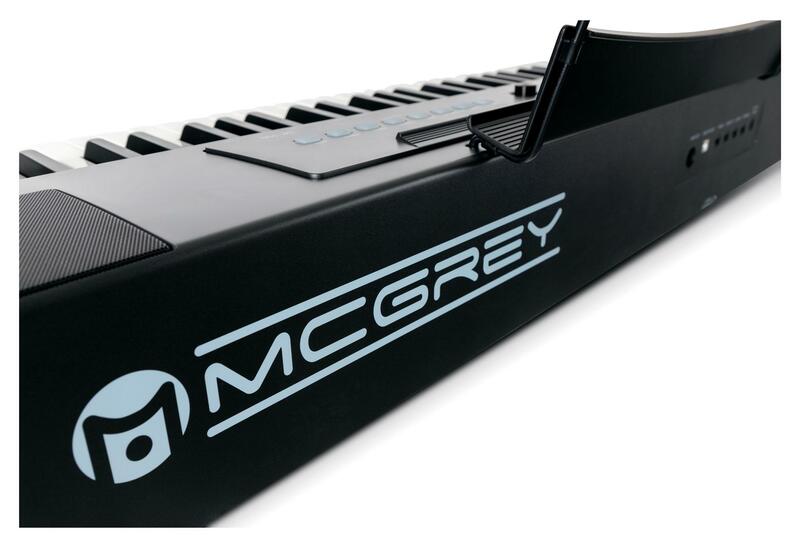 The McGrey SP-100 is a stage piano, which meets your wishes in its keys. 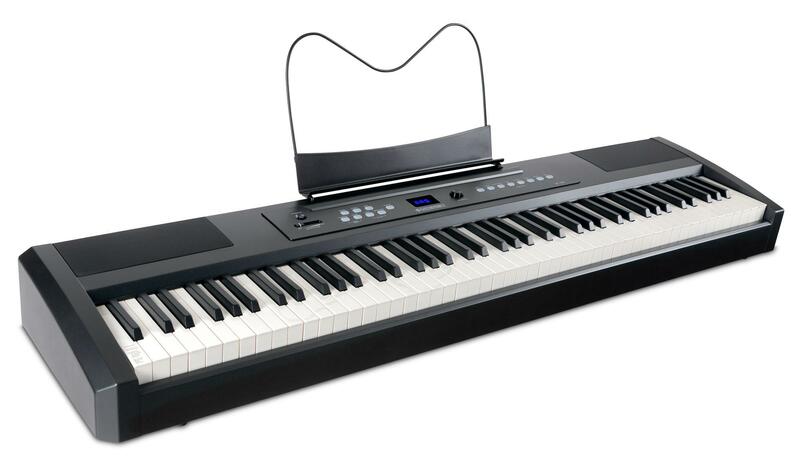 This keyboard is user-friendly, has a great range of functions, and, at the same time, still leaves plenty of to your individual creativity. 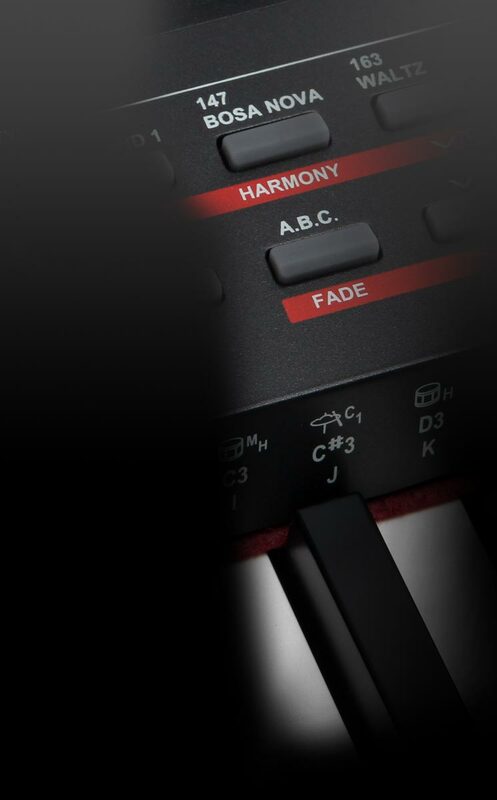 The SP-100 is equipped with a high-quality keyboard. The hammer-weighted keys provide light resistance for an absolutely natural playing feel. Headphone jacks are a wonderful tool for beginners. As soon as the headphones are connected to the SP-100, the sound comes through the headphones. The SP-100 has a recorder, which is a feature that will not only help you make progress, but is also great for experimenting and just having fun! 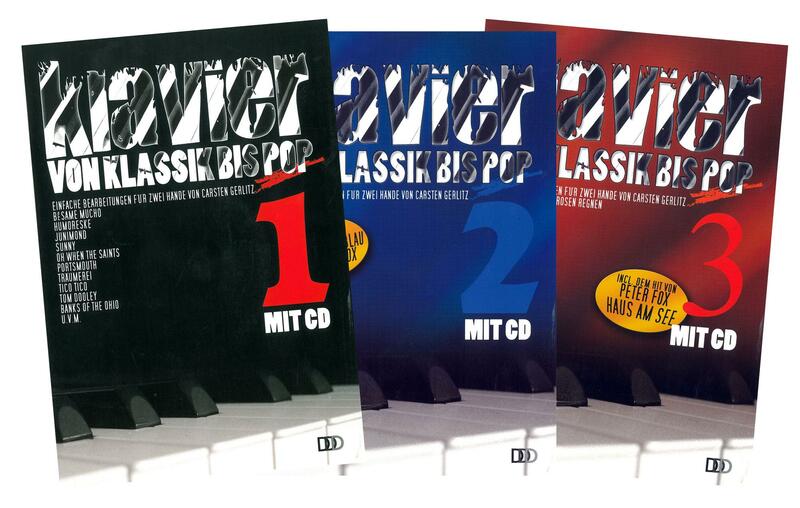 With Reverb and Chorus, you have the opportunity to add intensity to any of the 8 available voices. Split splits your keyboard into two sections to which you can assign different voices. 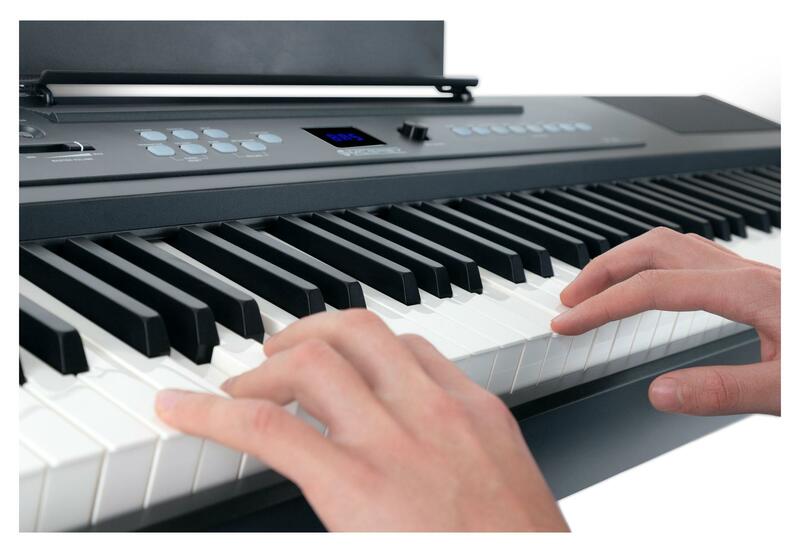 With layer, you can layer two voices to sound at the same time when you strike a key. 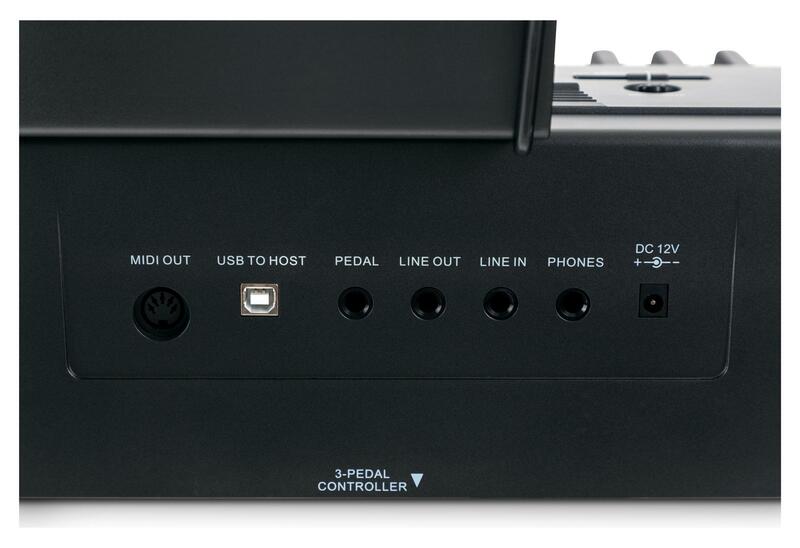 Using the MIDI and USB ports, MIDI data can be sent from the SP-100 to other MIDI-enabled devices. For detailed explanations of MIDI, refer to the instruction manual. 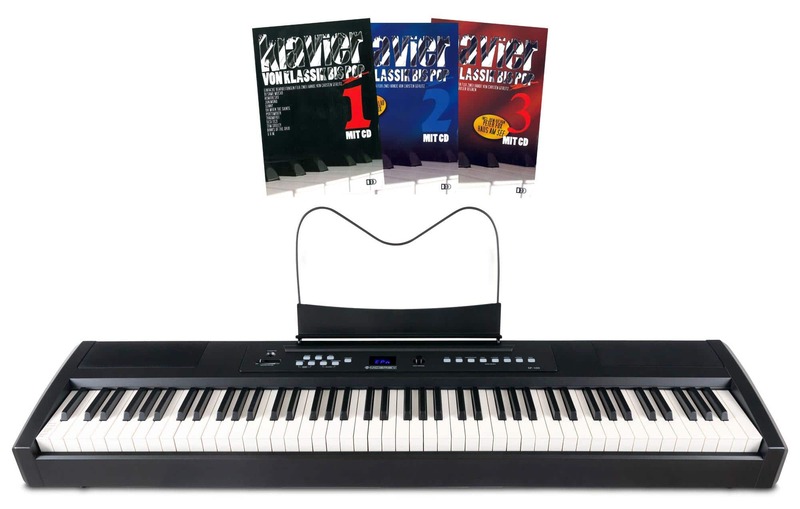 For a well-rounded successful entry into the world of the piano!